I recently found a recipe on Pinterest that I decided to try out this morning. 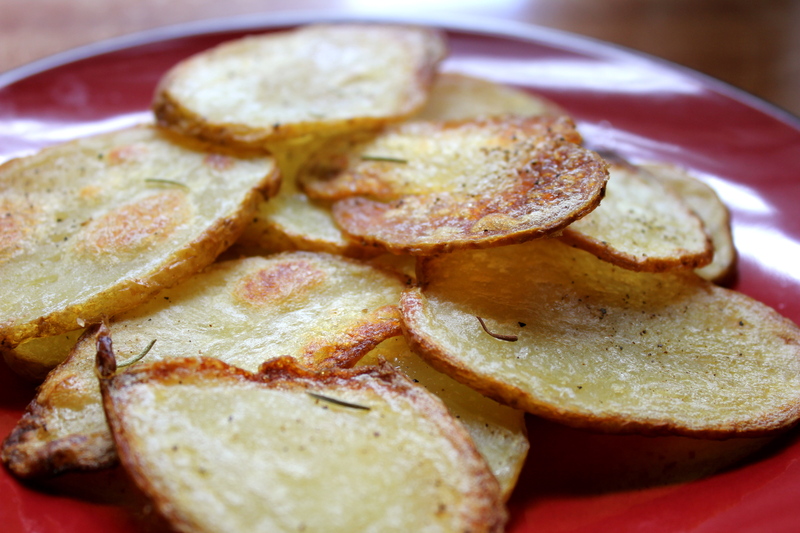 Homemade salt and vinegar chips. Vinegar, to me, is the perfect addition to any food. I will eat balsamic vinegar in mac and cheese, on pizza, rice, crackers, you name it. I feel pretty confident that my body is composed of 60% vinegar instead of water. These chips were DELICIOUS and disappeared within about 5 minutes (glad nobody was home to witness that). 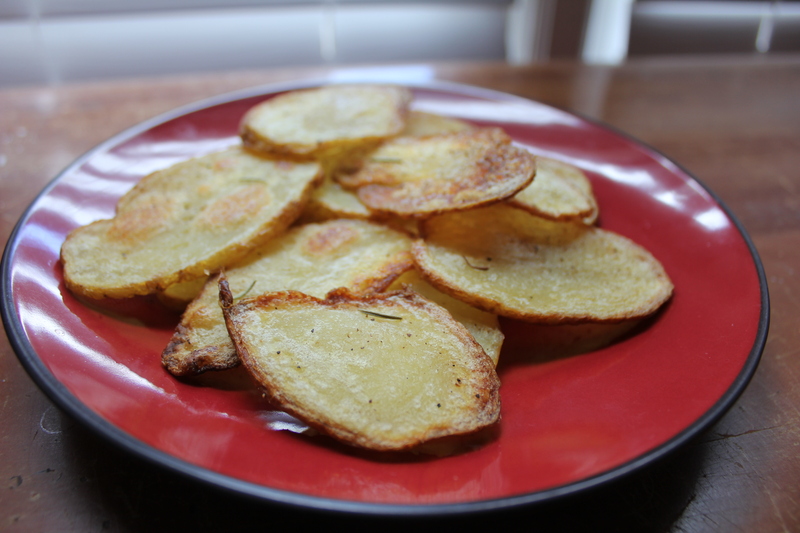 I didn’t have fingerling potatoes, but yukon gold potatoes worked perfectly. Give them a try, you won’t be sorry! Oh my god these look incredible. I also think that I’m made of approximately 60% vinegar. After cooking for some friends a couple of times one of them said “wow, you must really like balsamic vingar, huh”, since I incorporated it into every single recipe I could. Needless to say now I’m trying to keep my vinegar eating more on the down-low. Which is why I’ll be trying your recipe, for myself, tonight. Thanks! Hahaha I hear you! I think vinegar is good on EVERYTHING! Last night I was dipping salt & vinegar potato straws into mustard MmMmmMMm. Yeah these little chips are awesome, I hope you like them!